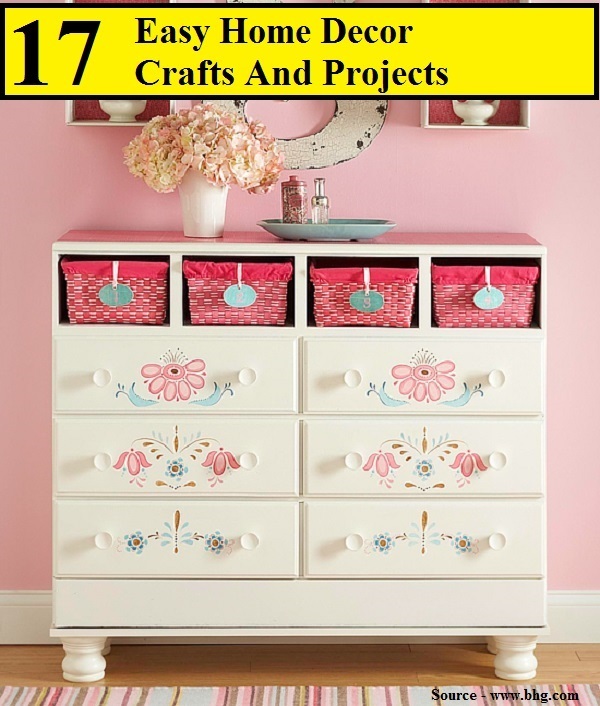 There are some very simple things that you can do to create a beautifully decorated home with very little cost by starting some easy DIY home décor crafts and projects. You do not need to be an artist to achieve these amazing ideas. Hopefully by viewing these 17 projects you will be inspired to create your own projects that can involve the family. Thanks to bhg.com for these DIY craft ideas. Follow the link below to start your journey on the path to beautifully decorated home.